Let It Snow! Let It Snow! Let It Snow!!" 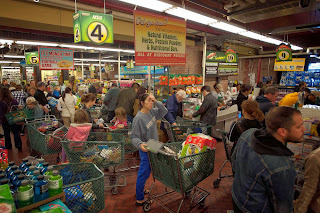 I along with every OTHER senior citizen went to the grocery and stocked up. with a list in my hand. Such fun to prepare--the smells are mouth watering as the onions saute and the peppers begin to blend with the meats. There is no way to make chili without it being a huge potful---I should be good to go with this cold weather treat! Being full of good cheer with the Christmas like weather headed this way, I made enough for The Jennings Crew and me and even took Whipper Snapper a pint. 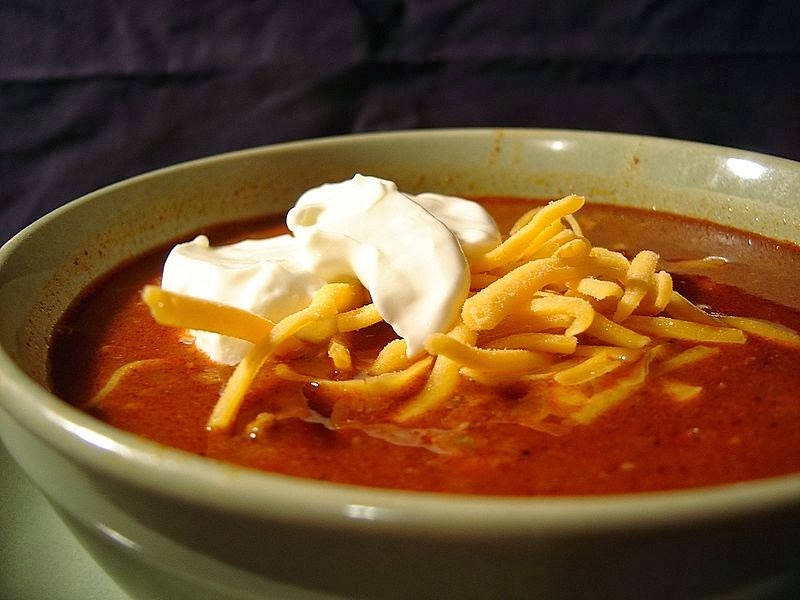 OH that first night---my favorite chili dish---a bowl with rice on the bottom, covered in chili---with cheese and onions on top and a small spoon of sour cream for a garnish. I inhaled that first bowl quick as a snap--while sheets of sleet fell from the winter sky. Such a Merry Christmas! OH---Day Two---iced in--a couple of inches on the ground--for a little variation--why not stuff a baked potato with chili and cheese. ANOTHER of my favorites! The ice is so bad The Jennings can not come get their chili--the roads are impassable. All is fine, I will freeze it for them. Full of Good Cheer! The world is a solid sheet of ice--I am trapped---cannot even get out my door- Thank goodness for the chili! 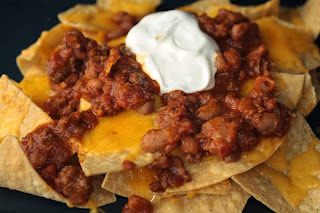 Today---I will be having chili nachos topped liberally with jalapenos! A SPICY CHRISTMAS! HELP--THE WORLD IS FROZEN---I AM TRAPPED---CLIMBING THE WALLS OVER HERE---NEED RESCUING---From the ice and the chili! 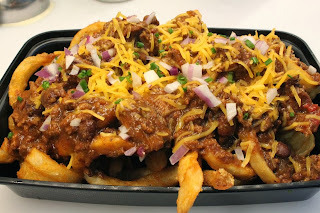 ONCE AGAIN--I am eating chili---this time over fries--chili cheese fries---oh yum! 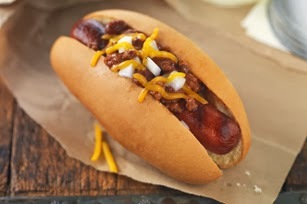 S I G H---it is day five--I am so depressed---chili again--this time in a hot dog--oh joy---if I had the strength I would quit climbing the wall and just cling to the ceiling! Five of my favorite dishes---love each and every one of them--but after five straight days of being cooped up due to the ice storm---I am not sure if I can face chili again. Taken one day at a time I would be thankful and enjoy each and every bite---but a steady diet makes for a grumpy L.
WAIT--I have become an Israelite--wandering through the desert---God supplying my needs--including food---manna and quail everyday-well OK--chili-I do not have to do one thing--just warm it up and eat. Am I thankful---do I acknowledge how blessed I am--do I bless each meal---NO---I gripe and complain --disgruntled over the same old same old. SHAME ON ME! I have plenty of food--I have a warm house---He supplies all my needs and I dared to complain. How often in life do we complain and not look past what is in front of us and recognize the blessings that are raining down upon us? For me--it can be an everyday occurrence. I am feeling rebuked--my head is down low---please someone pass the chili--I am blessed and thankful!